New in the world of IoMT design. P2link launches the P2FastTrack demonstrator dedicated connected health objects. Will IoMTs make patients’ life simpler? P2FastTrack will simplify that of their designers! Internet of Medical Things (IoMT) objects send patient health data to a third party, be it a doctor, medical and nursing team, hospital … including blood pressure monitors, pulsometers, heart rate monitors, activity trackers, scales and more. The dynamism of the tech sector in France and internationally shows that many start-ups are fully capable of developing such objects, combining innovation and creativity. But if these new objects can detect, capture and transmit information, what about exploiting and adding value to these medical data? The first funds raised allow the engineers, designers, ergonomists and marketers of start-ups to focus on the design and development of these devices. However, there is very rarely is there an opportunity to connect with a telemedicine application, even though this would provide useful validation and allow the medical team to interpret immediately the data received. Connect today your IoTs with the shared, optimized and customizable P2link telemedicine application. P2link’s core business is the development of care management / medical monitoring applications. With P2FastTrack, P2link is offering access to these applications. A proven, effective, ergonomic product meeting medical standards and, above all, an accelerator for start-ups and other creators of health IoT to save time for their testing and PoC processes. P2FastTrack is designed to receive data sent by any IoMT and offers a range of settings and customizations suited to the diversity of connected objects. Its integration will relieve pressure on product development teams during complex periods of fundraising. Connect your IoMT with P2FastTrack’s intelligent data collection and analysis platform to open up the scope of your project. Our platform was designed, from he outset, to comply with all standards in telemedicine and to allow rapid connection of any health IoT on the market. 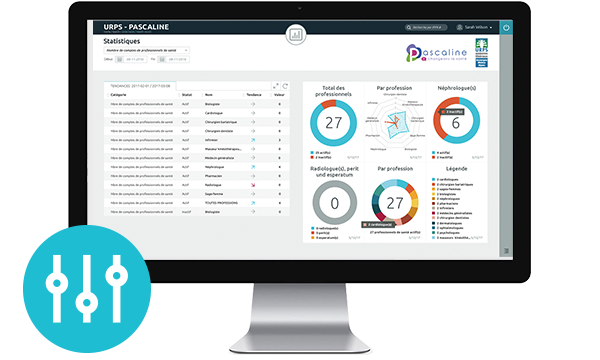 Collect and process the data from your IoT using many functionalities: compliance management, alert thresholds settings, monitoring of indicators, questionnaires, rules engine… In addition, the solution developed by P2link is structured around several parts: patient records, dashboards, web services, and administration tools. Report on record completion, number of attachments. Use enrolment forms with mini workflow and full traceability. Add value to the health data from your IoMTs. P2link offers its solution as a server collecting for the health data from your IoMTs. Everything is done either in an approved environment or a test environment, allowing your solution to benefit from powerful functionalities. These are fully aligned with what may be expected from a modern web service platform. They allow the historic contextualization of indicators resulting from measurements or questionnaires, the implementation of rules, multi-patient management by health professionals, and reporting tools. Patient identity can be managed by the third-party system, or by P2link. If managed by P2link, the third-party system may not know who the patients are, and patient/measure association is done by P2link. If Managed by the third-party system, patient information is transmitted to P2link along with medical device data. P2FastTrack can operate in either PUSH or PULL mode, which makes it easier to integrate with any third-party application. In Push mode: the third party application must expose a web service that P2FastTrack can call on a regular basis to get new data. In Pull mode: the third party application consumes the Web service exposed by P2FastTrack whenever required (typically when a new measure or set of measures is available). The PUSH mode is preferable in that it is closer to real time and avoids inefficient web service calls. 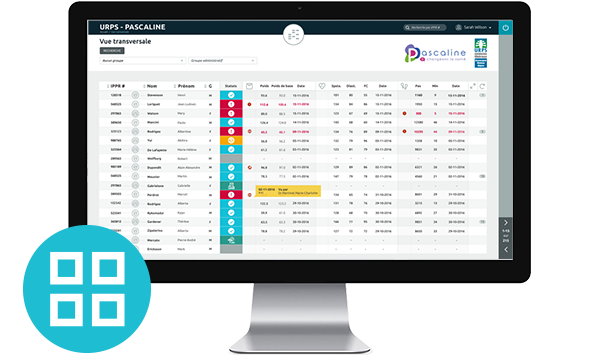 P2FastTrack can process both “active” and “passive” data received from the third-party system. P2link exposes a web service that allows an application developed for smartphones to feed the P2link system with questionnaire results. Such an application can be used by the patient or the Health Professional. 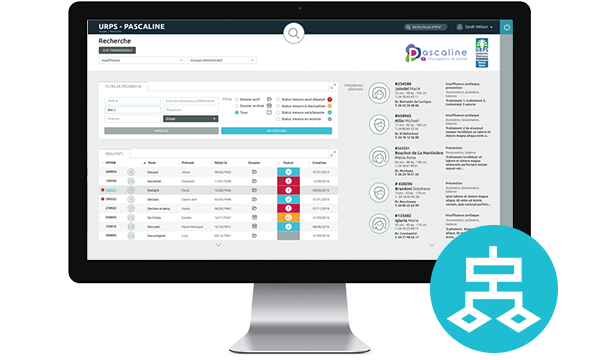 It can be developed by the third party or by P2link..
Questionnaire answers can be stored as passive data, and/or can result in score and indicator calculation. P2link is a web application built on DOT.NET technology. P2link is based on a REST-type web service layer that isolates the UI from the business and data layers, and allows for third party systems to plugin. P2link is compliant with all navigators on the market (in relatively recent versions) and is OS-independent. User interface implements responsive design rules to provide perfect rendering for all screen formats above 10”. 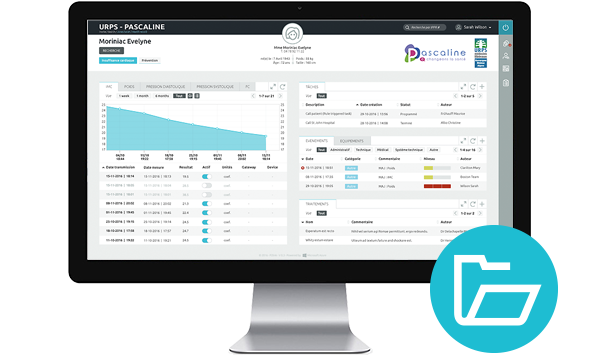 Usage of P2link web services to push medical device data. Customization by P2link of up to 15 simple-type fields. Branding: add your logo and company name to the P2link user interface. Customization of 2 simple questionnaires, each generating a score. Hosting of P2link application is standard environment (non HCDS). Step 2 – Cost : 4 500 € / month (VAT not included) Can be canceled at any time – only current month is due. Use P2FastTrack and all its features with the following limitations. Up to 10 medical device of a single model type. Up to 100 users (patients and/or Health Professionals). Maintenance and support during business hours included. Hosting in HCDS environment required for production and real patient data. Looking for an IoT compliant health telemedicine platform?